Catering to cat lovers everywhere, our Black Cat Candle Holder is the perfect partner to any stylish scheme. 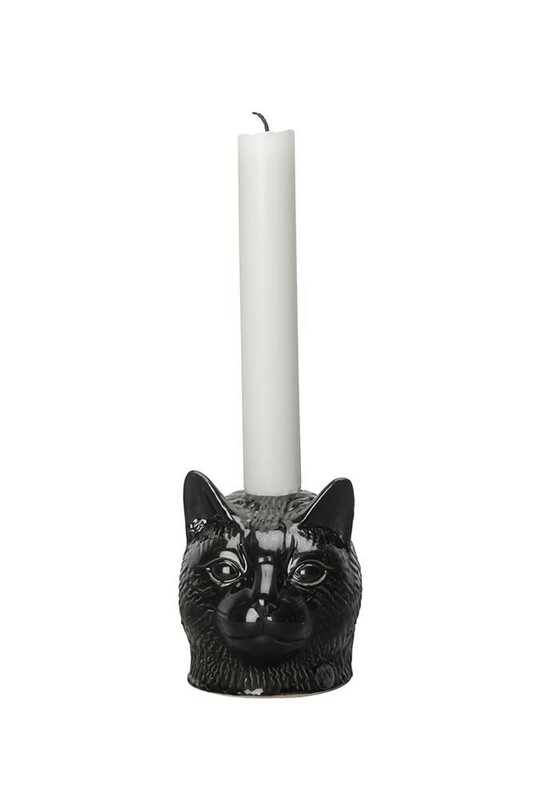 Featuring a glossy dark, black finish that is both beautiful and practical, the cat candlestick holder measures 9cm in height x 7.5cm in width and fits standard dinner candles in any colour of your choice. 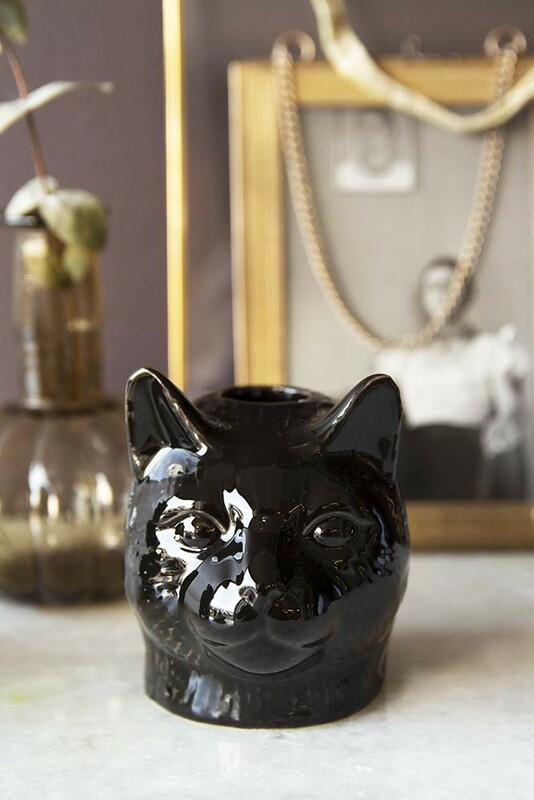 Beautifully detailed and full of quirky character, the Black Cat Candle Holder adds heaps of personality to any space in your home. Considered good luck across many cultures, the black cat can be found within cinema and literature as a symbol of mystery and magic. 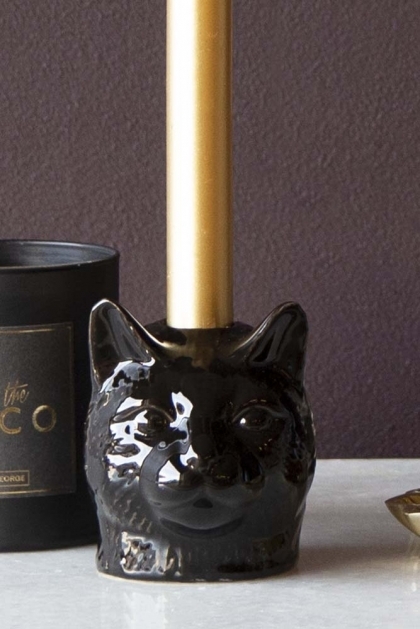 Introducing a little of that magic to the everyday, this fabulous feline brings a touch of drama to dining and provides a playful, decorative alternative to more traditional candlestick holders. Our favourite spot for the decorative black cat candle holder has to be the dining table when set up for dinner with friends and family. For the ultimate, decadent dining scheme, pair the cat candle holder with the black plates and platters of our Faria collection and plenty of glamorous gold.